Polish Forces – strength of Army divisions, Air Force, Navy. Strength and organization of the Army divisions, tank inventory, Air Force and Navy of Poland in September 1939. Polish soldiers at a pre-war torchlit review. The Polish Forces came into existence after World War One , and, like all the armies of the newly independent states which emerged at this time, it was equipped from the dumps of the vanquished. Not until 1937 was a programme of modernisation undertaken, and when war came two years later, the Polish Army was still basically obsolete; but although lacking in modern equipment and under poor strategic direction, the Polish Army fought bravely. In 1939, as Europe moved towards war, the Polish government ordered partial mobilisation in March and August and then, on 30 August 1939, general mobilisation was declared. Along her western frontiers Poland deployed seven armies and a tactical group which accounted for over half her infantry divisions and nearly three-quarter of her cavalry brigades. The remainder of the Army was in the process of formation and was to be used as reinforcements and operational reserves. Infantry regiments 3 with 1,900 officers and men each 1 battalion with 600 men ? Cavalry regiments - 3 or 4 ? NCOs and Privates ? 6,911 ? Total men 16,492 7,184 ? Machine guns 378 ? ? Mortars 99 (81 x 50mm, 18 x 81mm) 11 (9 x 50mm, 2 x 81mm) ? Howitzers and Field guns 42 (30 x 75mm M1897 + 12 x 100mm Austrian M14 howitzers) 16 x 75mm M1897 ? Anti-tank guns 37mm 27 18 ? Anti-aircraft guns 40mm ? 2 ? Tanks - 13 TK/S Tankettes + Armoured Cars ? Total strength of the Polish Army: 1,500,000 soldiers (1,000,000 frontline) with 4,500 guns and mortars, 2,000 anti-tank and 3,000 anti-aircraft guns. Polish TK tankettes line-up for manoeuvre. This armored combat vehicles had no chance against German tanks. 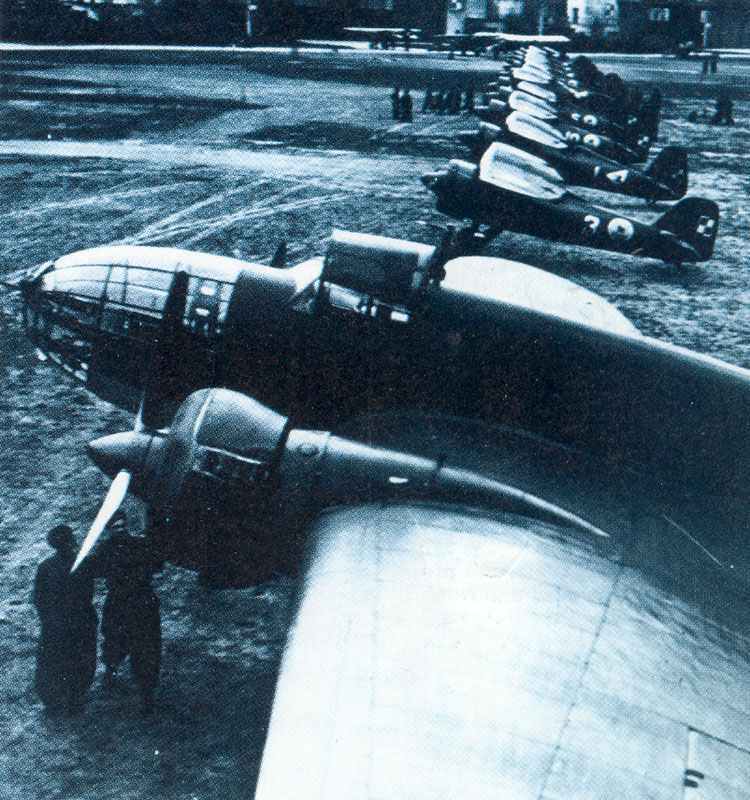 One of the first PLZ P37 bombers, pictured shortly before the German attack with a squadron of P11 fighters. The Los bomber was one of the modernest designs at the outbreak of WW2. 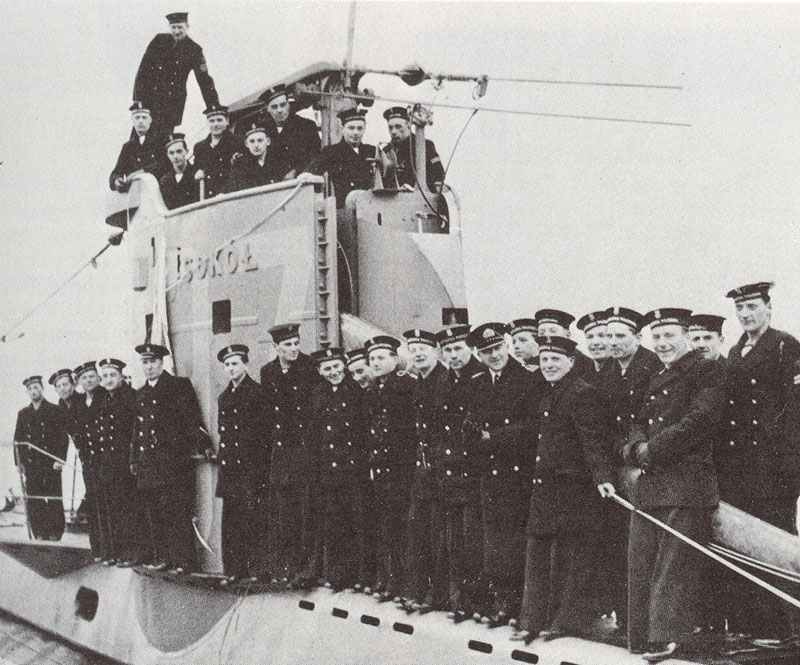 Personnel of the Polish submarine Sokol parade on their vessel. At the time the picture was taken, the vessel is element of the Royal Navy, but a variety of ranks are shown wearing their Polish uniforms. Four destroyers, five submarines, one minelayer, six minesweepers, two gun-boats. (On the eve of the German invasion three of the destroyers and the submarines were ordered to sail to England. The destroyers and two submarines reached Leith in Scotland on 1 September 1939. The three remaining submarines were unable to break out of the Baltic Sea, and were interned in Sweden). -several mistakes in “Polish army units”. – photo “Polish tankettes” shows TK-1 and TK-2 prototypes, not the really used TK-3 and TKS. – Polish Navy – submarines were not ordered to sail to Britain; one (“Orzel”) hovewer escaped from the Estonian city of Tallin and went to Britain. Number of fighters should be 159 not 59. Correct – this number was ‘lost’; thanks will be fixed so quick as possible !